The much anticipated Chop Cult has launched. The site has a fresh feel and some even fresher bikes. We found this immaculate purple 1979 Erwin SR500. Built by the talented Kim Boyle, we are having trouble taking our eyes off it. We thought the beautiful Blue Moon Kustom tank looked familiar having seen it on their blog recently. For more details on the build and more beautiful pics by Wes Drelleshak check out Chop Cult. 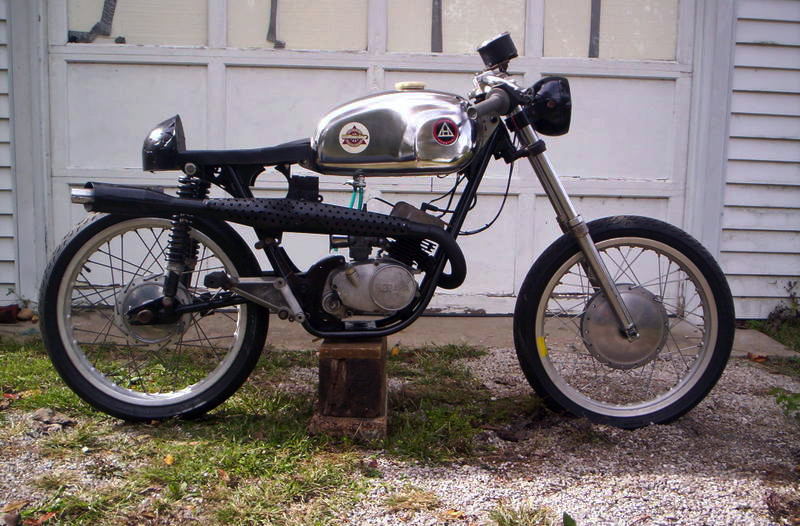 What a great little Cafe Racer. 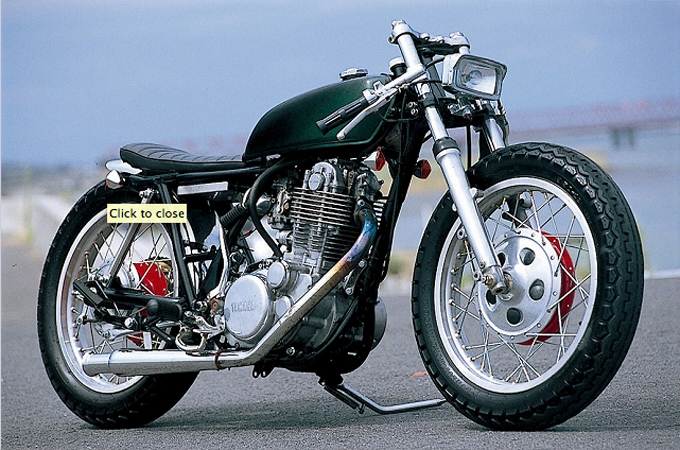 Hodaka was an American-Japanese company that unfortunately didn’t produce motorcycles for very long. Pretty much between 1960 and mid 1970’s. 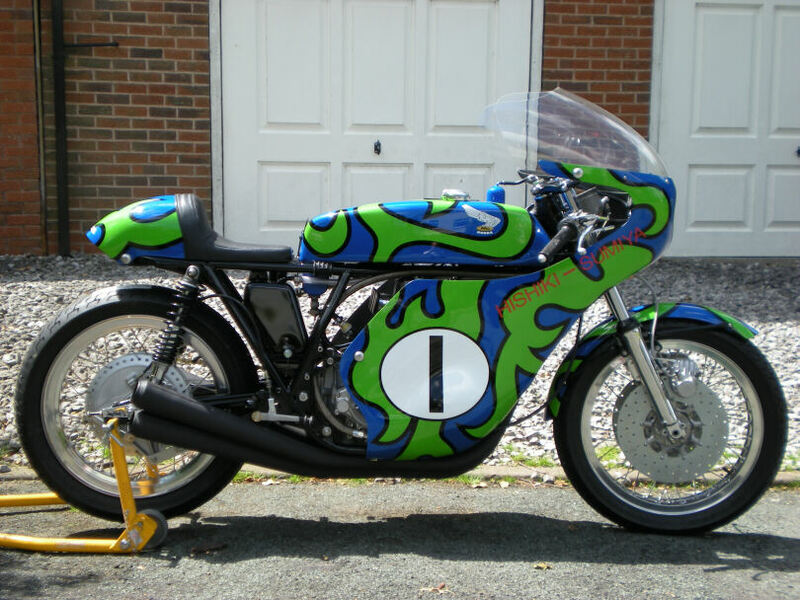 This is a two stroke, single cylinder 1972 Hodaka Ace 100. 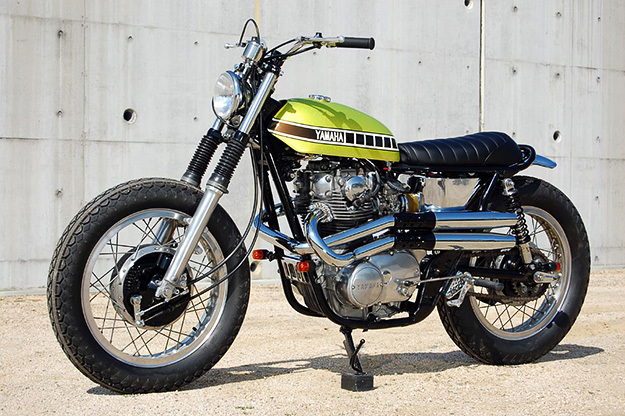 We love the rawness of this featherweight cafe racer. Stripped back to the basics like they should be. If you are a Hodaka fan or just want to know more, check out Strickly Hodaka for everything Hodaka. Japanese Ritmo-sereno are famous for their BMW cafe racers. However their website is full of other european bikes like this beautiful Moto Guzzi Le Mans. 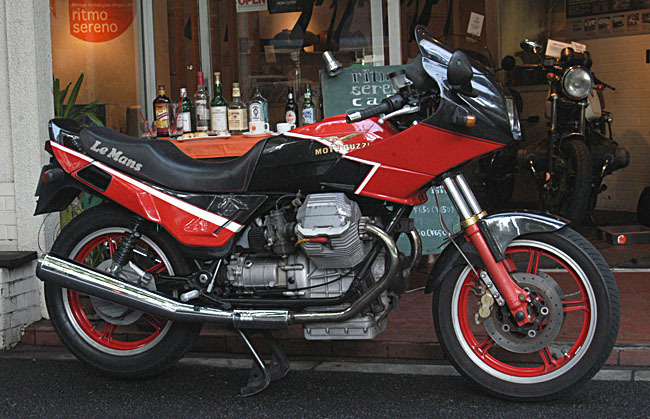 The Le Mans was Moto Guzzi’s top sports bike in the 80’s. The big bore lOOOcc version was a welcome addition in 1985 but is essentially similar to the 850 Le Mans they had been producing. We wanted to give you the before and after shots of this bike to show the work thats gone into the build. 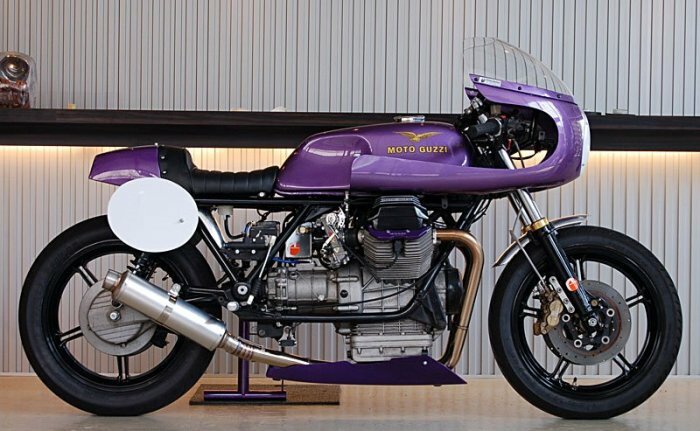 Ritmo have taken this dated Guzzi and turned it into a cafe masterpiece. 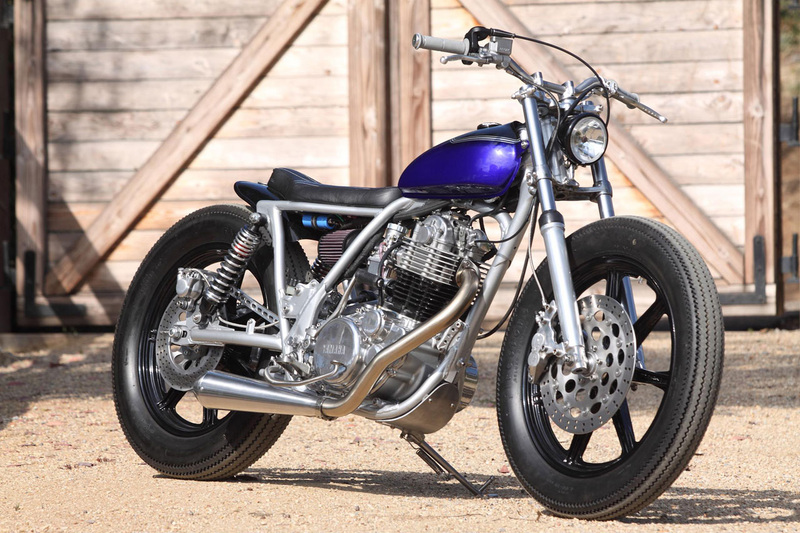 With its beautiful cafe race seat, purple racer fairing and 2-in-1 stainless steel exhaust. We simply love it. 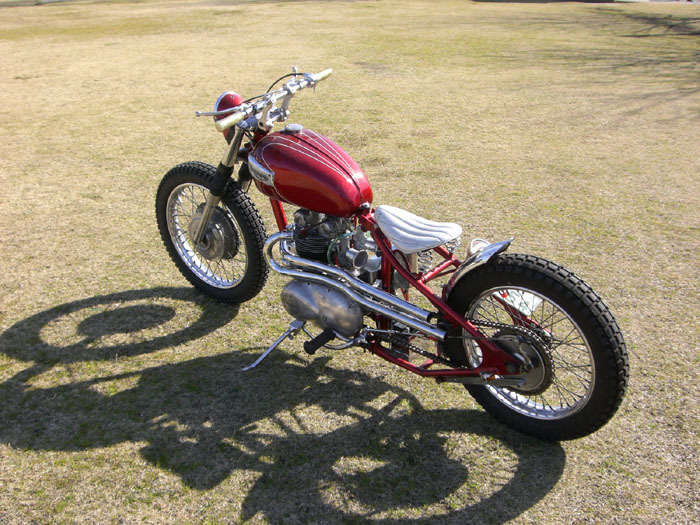 Japanese custom motorcycle builder Chicara Nagata is in a league of his own. He doesn’t call his bikes motorcycles, he calls them pieces of art. Which is why the Ippodo Gallery in NYC has had an exhibition recently showing his amazing chrome bikes. Chicara has won numerous awards for his custom motorcycles, which take him over 7000 hrs to build. 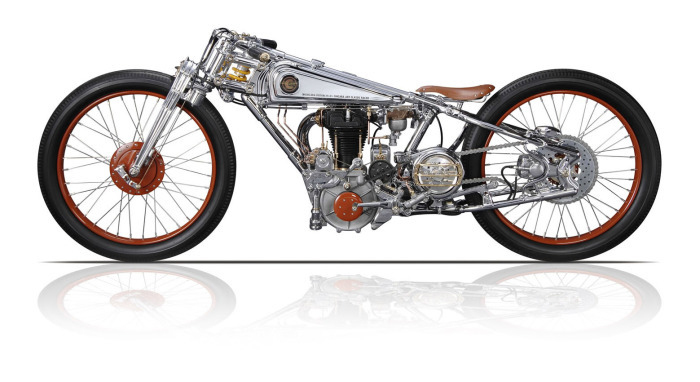 This level of craftsmanship has its price, with most of his bikes selling for around $1 million – ouch. Hit this video to see Chicara talk about his amazing masterpieces. It’s been way too long since I’ve mentioned a Japanese Custom shop. Heres one called Custom Jump from Kyushu. They specialize in TW200, TW225’s and of course the favourite SR400. They have created some crazy TW’s and this is just a taste. 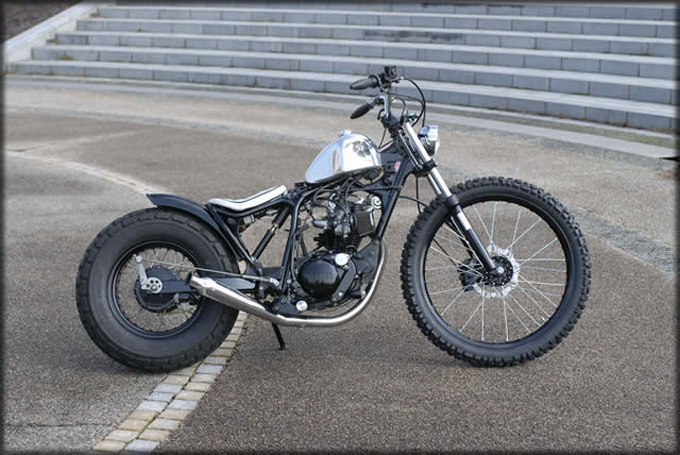 Check their gallery to see more, including an American Chopper styled TW225. 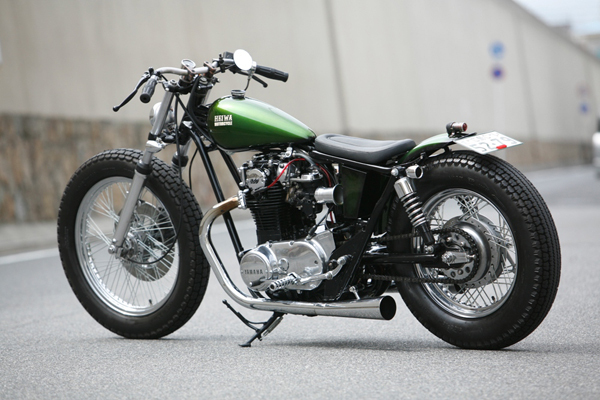 Deluxie Customs is a Japanese custom shop that doesn’t use SR400’s. Looks like they mainly customize old triumphs and Harleys. 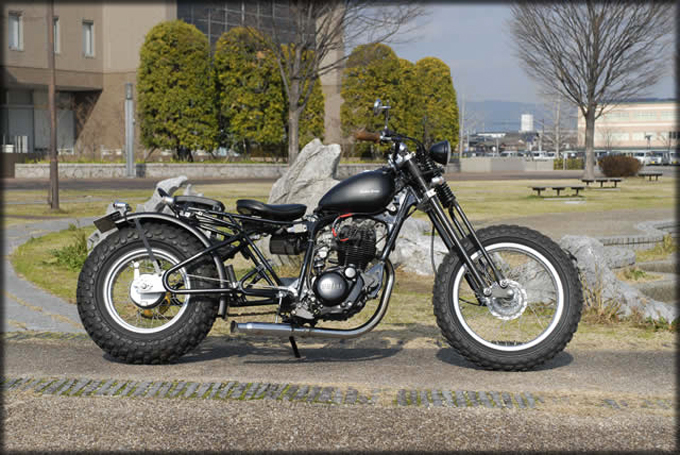 The Triumph below is a 1972 T100R Hill-Climber. Looks pretty sweet in the candy red pearl with white seat. Nice work.